Six weeks has just flown by...so without further wait..Episode 17. Hope you enjoy! Big shutout to Tanesha from the Crafty Garden Mom blog & podcast as I won a giveaway from her blog in honor of her birthday back in October. She was so generous to Fed Ex me a copy of Modern Log Cabin Quilting: 25 Simple Quilts and Patchwork Projects by Susan Beal after my first giveaway book was eaten up by the USPS. Thank you again Tanesha! Please visit Susan Beal's blog at westcoastcrafty.wordpress.com to see how creative she is. New quilting podcasts to me - super fun and worth a listen. You can find them on iTunes. Lazy Daisy Quilts hosted by Daisy. The Quilting Pot hosted by AJ. New food podcasts to me. A Taste of the Past with Linda Pellacio. I've only listened to the 1st of 82 episodes. I spoke about one handmade Christmas gift project I am about to embark on. 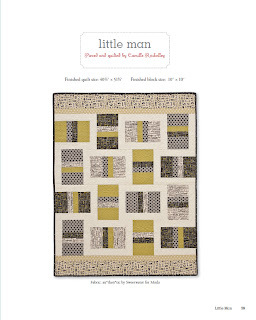 I am going to make the Little Man quilt pattern for my nephew from Camille Roskelley's Simplify book for Christmas. 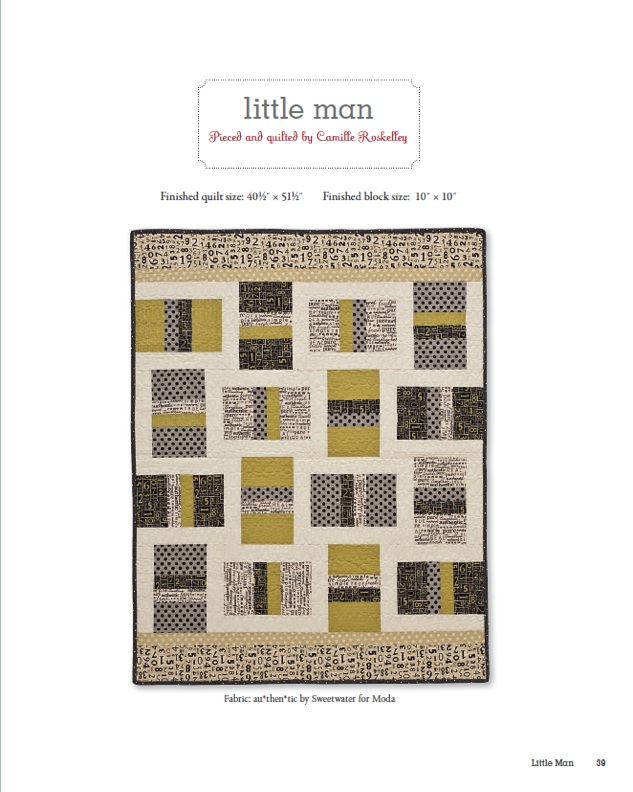 Many different orange and black fabrics are on the design board for this quilt as he is a San Francisco Giant fan. I also spoke about what I made for Thanksgiving dinner - go here to see what I made. Great to see you have a new podcast up! I hope to listen tomorrow - also the new foodie one - will check it out! Thanks! Here is another YOUNG 20 something pod-caster who started posting recently. She lives near New York and has had some good pod-cast. I downloaded from iTunes but have not had a chance to listen to it... looking forward to hearing about LOG CABINS. My mom made me and my husband a wonderful log cabin that ends up looking like circles--unfortunately, I have yet to take a picture of it. Keep meaning to! But you can make a log cabin look round (four blocks together) if you vary the width of the strips. It's a very cool effect. Here a link with diagrams of the various settings: http://c-mann.suite101.com/popular-log-cabin-quilt-settings-a46088. Congratulations on your win, Susan! That is a fun book. And I'm so behind on what the cool kids are listening to these days. I really need to get into this podcast stuff because it all sounds like things I want to hear, but I don't think I've ever listened to one! I was the project manager for a group log cabin quilt. I have never had to redo so many blocks because they came back all different sizes, even though we supplied the fabric precut and a sheet of very specific directions! I'm thinking a log cabin quilt is not a good group project unless you know that everyone will be very careful when piecing!